You have a mobile phone, if it is stolen a replacement means forking out a couple of hundred quid with no notice – ouch! So you register it and pay £20 – and later, on production of the original purchase receipt showing its unique id number and a crime report showing the phone with that id number reported stolen you get an immediate £200 pay out – how does that sound? And how much better does it sound if there are no companies/middlemen and no state involvement? Being fed up with insurance small print and the massive chore of tracking down policies that cover what needs covering, I had an idea. How about simple shared risk funds? 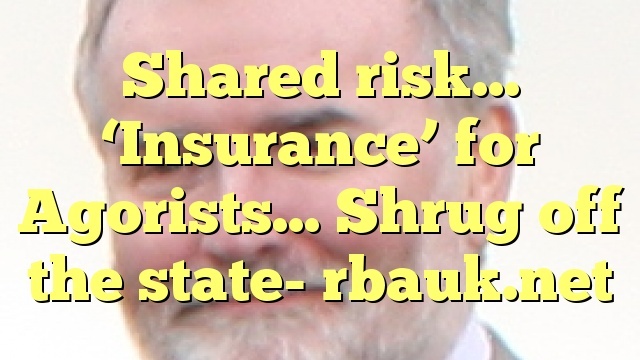 As described above (say) 30 people pay £20 into a fund (bitcoin account) which pays out as described above – once three people have claimed (maybe in 8 months, maybe 16, maybe 24…) the fund is empty, and everyone needs new insurance (set up another fund with others to share the risk with). The deposit into the fund would be from a particular account for a particular phone, and payments out would be for the specific phone into the original account – backed up by the original receipt and crime report. One extra point – submitting a claim would require a £20 payment to the assessor to judge the claim – they can’t work for free! They would keep this payment and decide if the claim was correct and pay (from the fund) or not and decline to pay. It may be that claims could be assessed by any quorum of policy holders so involve even fewer people(! ).